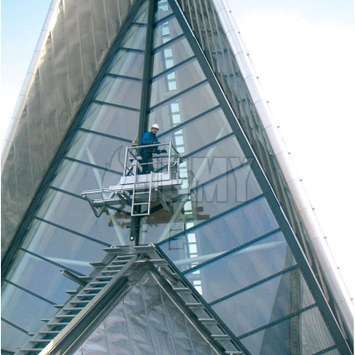 Window cleaners need to reach every part of interior and exterior glass with their tools like wipers, water jets, chemical cleaning products, etc and this in a safe way. 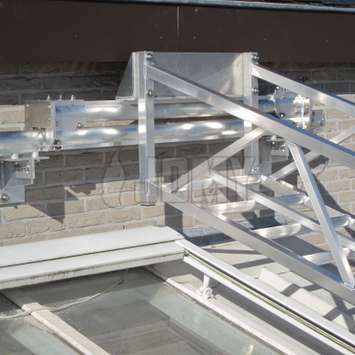 A regular ladder often isn't the right tool because of the fall risks. 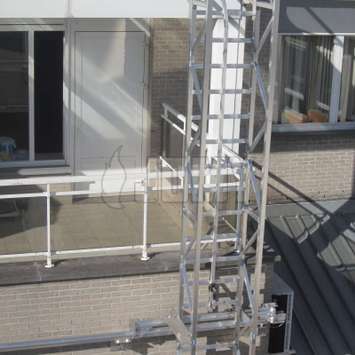 JOMY offers a wide range of custom made mobile solutions to access big and small windows so they can be cleaned in a safe and comfortable way. JOMY mobile access systems facilitate cleaning of your windows. In modern architecture, glass is used a lot for aesthetic reasons, to get day light into the buildings, and to offer a great view to the people inside the building. Unfortunately, glass gets dirty and needs to be cleaned on the inside and the outside. 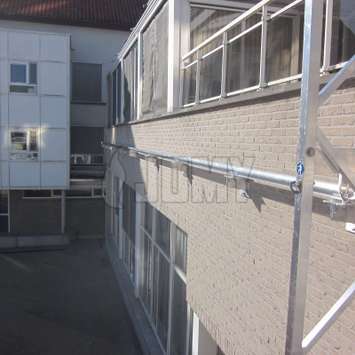 The window cleaners need to get to every part of the glass with their wipers, water jets, chemical cleaning products, etc., and must do this in a safe way. 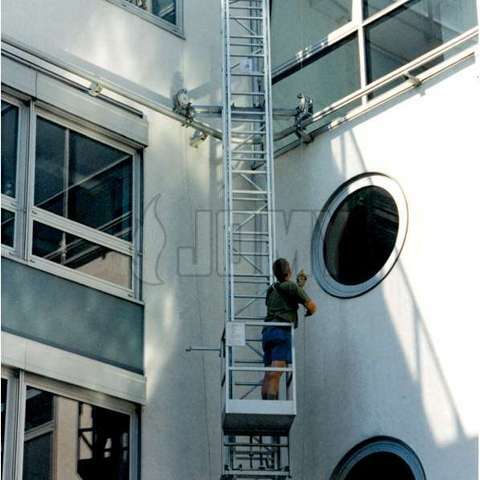 An ordinary ladder isn't the right tool because of the fall risk. 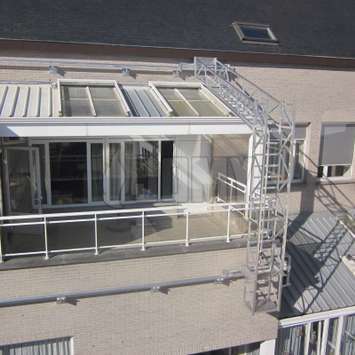 JOMY offers a wide range of custom solutions to access all modern and complex glass structures, like atriums. The cleaning often happens at great heights and difficult angles. 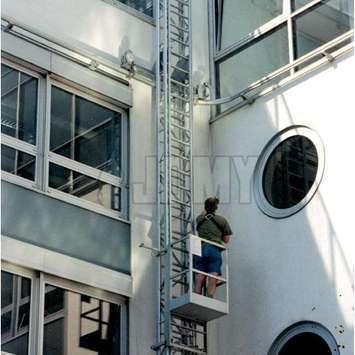 Nothing is too difficult for the engineers of JOMY to give window cleaners a safe way to access windows.